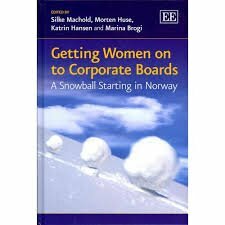 This slim but informative volume contains contributions from practitioners, policy-makers, principle-setters, advocacy groups and researchers on gender balance in the boardroom, the outcomes of the Norwegian quota law and its snowball effects in other countries. The book came out of a Think Tank organized in Oslo in March 2011. The Norwegian quota law demanded a minimum share of either gender of 40% on boards of publicly listed companies, about 1500 corporations as of January 2008. Corporate boards of directors should devote as much attention to IT matters as they do to accounting rules, but they rarely do, according to a report released earlier this month by the Deloitte Center for Corporate Governance. Today’s companies need “tech-savvy directors” who can make sure the IT strategy is aligned with the overall strategic plan, as well as monitor the various risks associated with IT, the report said. “The growing complexity and pervasiveness of IT is increasingly making IT literacy an essential competency for directors,” the Deloitte Center report said. Boards should give as much scrutiny to a major IT project as they would to any other major capital expenditure, it noted. The 2010 U.S. Directors’ Compensation and Board Practices Report is based on a survey of 279 corporate secretaries in May and June 2010. The Conference Board conducted this edition of its annual survey in collaboration with the Society of Corporate Secretaries and Governance Professionals and sponsored by the Deloitte LLP Center for Corporate Governance, and expanded the questions to include board practices regarding risk oversight, CEO succession planning, and emerging executive compensation safeguards such as clawbacks, say-on-pay, and anti-gross-up policies. 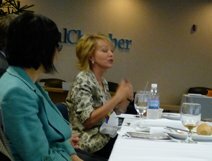 On June 29th the Northern California Chapter of the National Association for Corporate Directors held a low-cost high-quality lunch-time meeting at the headquarters of the California Chamber of Commerce. Now that we have wrapped up the 2010 Proxy Season with issues this year like executive compensation, risk management and high profile withhold campaigns for some Directors, how did it go? What lessons did we learn? Moderator: Anne Sheehan is Director of Corporate Governance of the California State Teachers’ Retirement System (CalSTRS). Prior to that, she served as Chief Deputy Director for Policy at the California Department of Finance, serving on more than 80 boards, commissions, and authorities on behalf of the Director of Finance. She also served as the Executive Director of the Governor’s Public Employee Post-Employment Benefits. Anne Sheehan was appointed to the CalPERS Board in December 2007 as the designated representative of the State Personnel Board. She was named one of the 100 most influential people on corporate governance by Directorship Magazine in 2008 and 2009. 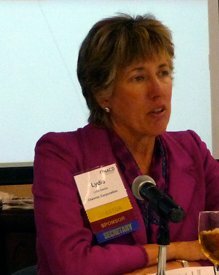 Panelists: Lydia Beebe, Corporate Secretary and Chief Governance Officer, Chevron Corporation, a position she assumed in 1995. She serves on the board of directors of the Council of Institutional Investors and the Society of Corporate Secretaries and Governance Professionals where she was past chairman. 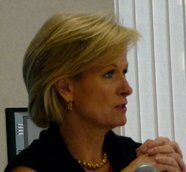 In her remarks, Ms. Beebe initially focused on corporate disclosures required by the SEC. In that context, the proxy season was “predictable,” given new disclosures for compensation. Such disclosures take up an increasing amount of space. Beebe pondered the idea that perhaps some thought should be given to getting rid of some parts that may be less informative than others. Perhaps by example, she noted that with regard to director qualifications, companies aren’t likely to use that disclosure requirement to tip their hat concerning which directors, if any should be voted out. Given the BP spill and new disclosure requirements, risk analysis is getting increased attention at Chevron. Like many of us, she thought the industry was well beyond such accidents. The Gulf spill will have repercussions for many years to come. Boardroom discussions around risk have increased. What is the right balance regarding board involvement? How can we be sure our processes are being followed on the ground? Careful auditing is essential. Compared crisis of management vs crisis of lack of oversight. Boards have a thirst to know and to weigh risks from the geopolitical to the geological. is responsible for the firms proxy voting efforts worldwide. The biggest surprise of this year’s season was how boring it was with regard to substance and new issues. Companies appear more willing than ever to engage. As evidence of that, CalPERS had no focus list this year because they were able to negotiate changes with potential targets. He thinks the trend is engagement and there are more opportunities for shareowner voices to be heard. However, he did caution that willingness to engage with shareowners may reduce if the economy improves substantially. Friedman reiterated his opinion, that I have heard and covered at many other venues, that “say on pay” is a bad idea for investors and will likely provide insulation to boards that can point back to shareowner approval. Shareholders aren’t equipped to set pay or determine compensation in advance. Voting out compensation committees is a better strategy. He speculated that a few high profile cases could do more for adjusting compensation to risk that say on pay. Securities Lending committees. McCormick was named one of the 100 most influential people on corporate governance by Directorship magazine in 2008 and 2009. McCormick sees global convergence across borders as one trend that continued this year. Trends to influence election of directors, obtain more information, increased use of voting rights. There seems to be a private ordering around issues like majority voting requirements.He also sees more engagement with shareowners. Perhaps there was a learning phase or trust building required. BP and Massey drove the focus on risk. Asked about the need to a separate board risk committee, McCormick, like the others, said it depended on a number of factors. If the board has never really managed risk, then a separate risk committee or manager reporting to the board will guarantee at least a discussion. On the other hand, compensation committees need to be aware of risk and how it relates to incentives. The audit committee also needs to be aware, so companies shouldn’t shunt risk off to one committee. A study cited in the Sutherland and The Altman Group webinar discussed below found that 8% of surveyed companies have primary responsibility for risk management resting with the board. 34% is with 1 or more committees and 52% said both board and various committees have responsibility for risk oversight. Great questions from the audience… need to validate subcontractor skills and performance. Discussion around perhaps higher need for risk committees at insurance companies. Ideally best nominations come from nominating committees because they know the strengths and weaknesses of the existing board. However, when they fail, proxy access will be useful as long as it is used judicially. Interesting stories from insiders, as well as international examples of rights and problems that may be coming our way. Compensation committee members where there were large gaps relative to performance. Audit committee members and others when there is a crisis. Poor performance, coupled with poor governance. When directors repeatedly ignore the will of shareowners by not enacting proposals that have passed twice. Another worthwhile event by the Northern California Chapter of NACD. Join or at least sign up to be notified of future events. Don’t miss out. Despite warnings from some corporate advisers that the end of broker voting in uncontested board elections would unleash a surge of withhold votes this year, the number of directors who failed to receive majority support remained about the same. One of the most notable developments this season occurred at Motorola, when the electronics company became the first-ever U.S. issuer to fail to win majority support during a management-sponsored advisory vote on compensation. After reaching a record high in 2009, fewer governance proposals filed by shareholders obtained majority support this season. As of June 15, 117 (30.2 percent) of the 388 proposals that went to a vote garnered majority approval, down from 150 (or 35.2 percent) of the 426 proposals on the ballot during the same period in 2009. “Say on pay” resolutions were averaging 44.1 percent support at 47 companies. Resolutions seeking to rescind supermajority voting rules were averaging 69.6 percent approval at 32 firms. For declassification proposals, there was 60.2 percent average support at 55 companies. Right of a majority of investors to act by written consent averaged 54.7 percent approval at 16 firms this season. Special meeting resolutions were averaging 43 percent support at 43 firms, down from 51.8 percent in 2009, as companies increasingly adopt 25% or higher standards to avoid the 10% demanded by shareowners. Independent board chair resolutions were averaging 28.9 percent support at 36 annual meetings, down from 38.8 percent during the same period in 2009. Majority voting proposals averaged 57.6 percent approval at 29 companies, up from 51.3 percent in 2009. There was no huge perfect storm that many expected with loss of broker vote. ISS clamped down on compensation committee members in 2009. No further ratcheting in 2010 but companies deserve credit for taking a more proactive stance in 2010. Some discussion of Dodd-Frank bill. Non-binding Say on Pay at least twice every six years, with variability 1, 2, or 3 years. Many institutions that advocated annual SoP aren’t prepared to vote annually because too much work to look through thousands and thousands of proxies. 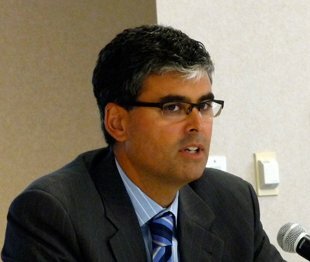 Management SoP didn’t pass at Occidental, Motorola and KeyCorp. ISS didn’t support management’s recommendation at any of these companies for a variety of reasons. Issuers can no longer exclude risk assessment or CEO succession planning proposals based on ordinary business exclusion. Presentation went into more detail as to why votes may have turned out as they did in 2010. See Staff Legal Bulletin 14E. Their webinar focused much more on proxy disclosure rules and how to please both the SEC and RiskMetrics Group. I would think the slides would be useful to all involved in compiling such disclosures for companies. Additionally, a proxy plumbing draft will be released by the SEC soon. See Modernizing the Proxy Voting System: Setting Priorities and Practical Solutions To Improve The Proxy Voting System at The Altman Group. See also RiskMetrics 2010 Policy Updates: Test of Pay for Performance and List of Problematic Pay Practices Fine-Tuned, Peal Meyer Client Alert from December 2009 and Pay Czar Feinberg’s Best Practice Principles, The Corporate Library, 7/1/10. 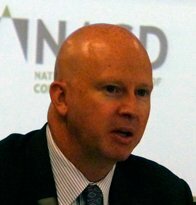 Also of interest to NACD members, “Who Watches the Watchers? Why an External Board Evaluation is Most Likely to Result in a Higher-Performing Board.” This article, available from Deloitte, discusses the involvement of a third-party in assisting with the board evaluation process and explores the benefits of having an independent party involved.